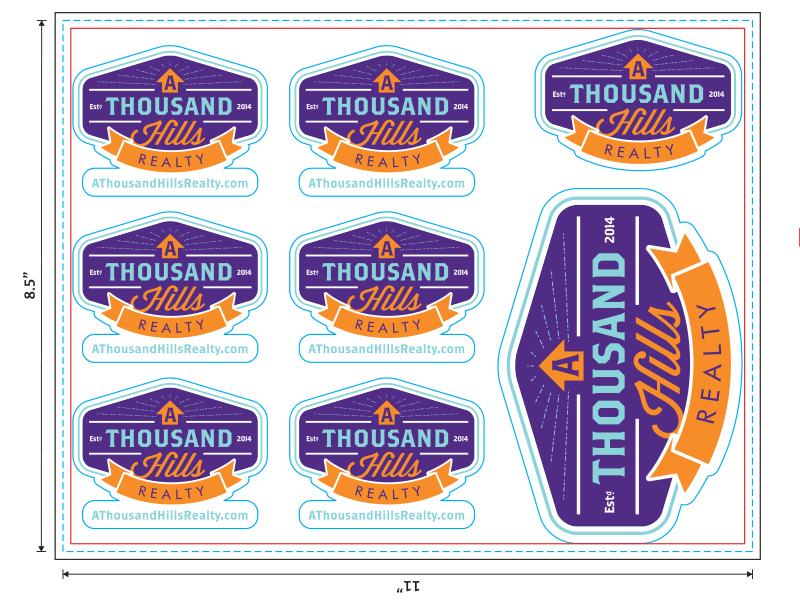 A Thousand Hills Realty is an ATX realty company that consists of a husband and wife team, Scott & Martha Bowles. These guys are the quirkiest, most fun people you could ever meet and they’re bringing that feel to their business. 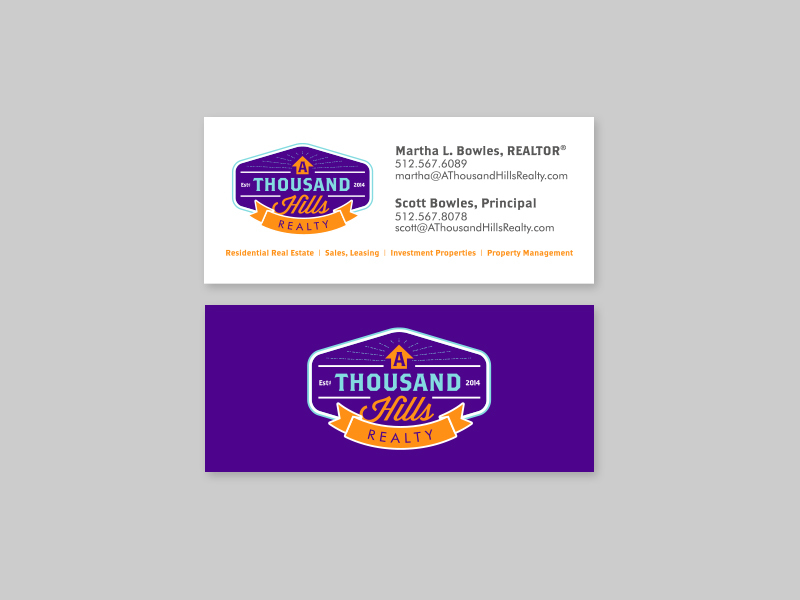 This project consisted of several different pieces: Logo design, website, digital ads, business cards, mini cards, sticker sheets, and photography. 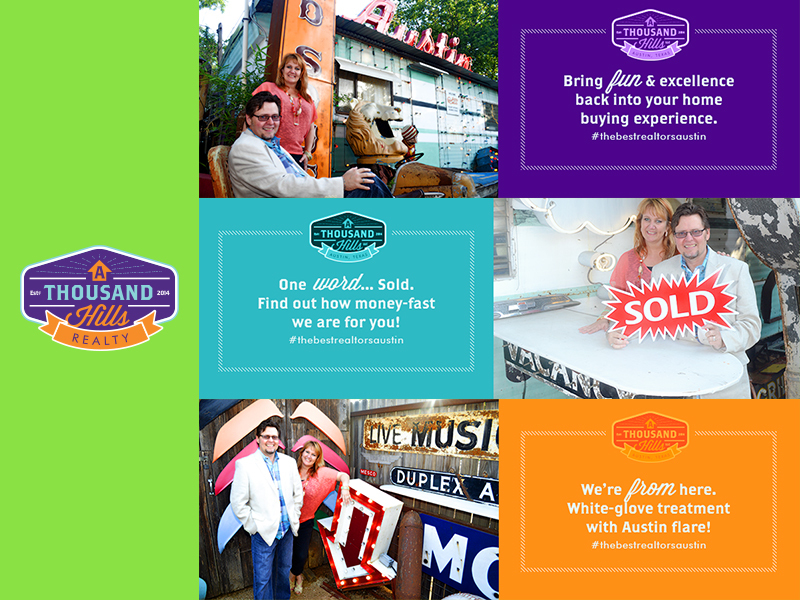 I worked with them for several weeks and the outcome is helping them build a fun white-glove service to realty in Austin, TX.